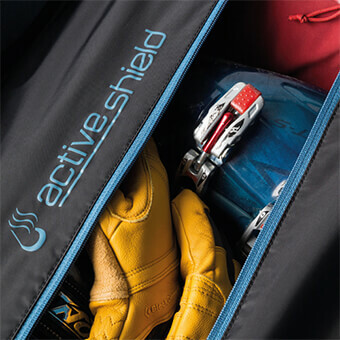 Get gone for a weekend, the carry-on friendly Outlier 45 has more space for your stuff, ActiveShield storage for your dirty gear, and load-bearing suspension for the walk from the tram to your Airbnb on the Vondelpark. 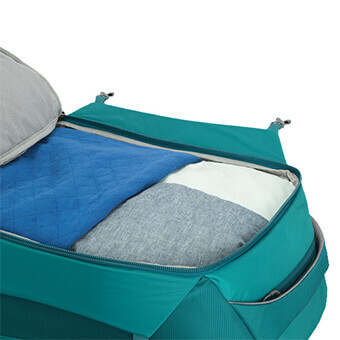 Whether you’re crashing on a couch, a guest bed, or a deluxe pillow-top king, the full-lengthzip main compartment keeps contents accessible and makes packing a cinch. 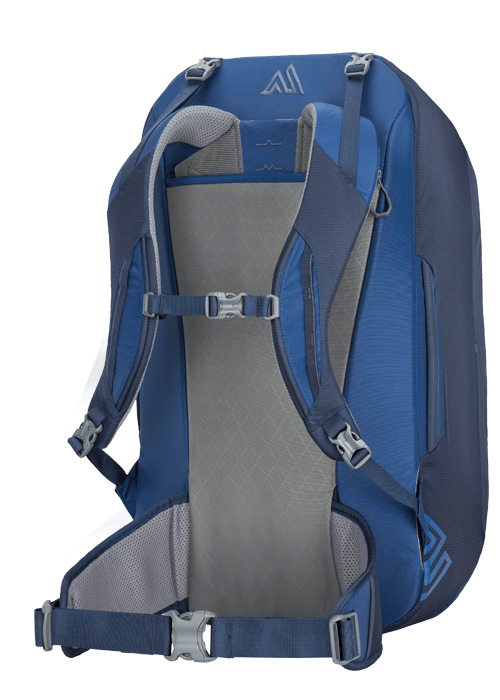 Our packs offer suspension that not only stows, but that works the way it should. 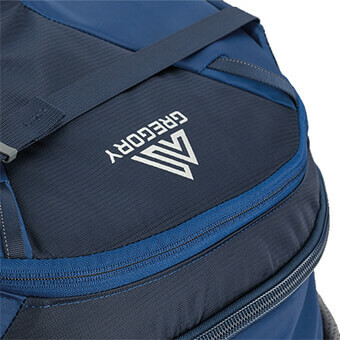 Gender-specific design, padded backpanels, contoured shoulder harnesses, and wide, padded hipbelts provide the comfort and support you expect from Gregory. Torso adjustment in the 65-liter packs makes it easy to achieve a perfect fit. 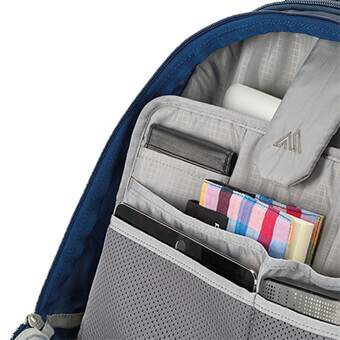 And of course, everything tucks away in dedicated, zippered pockets that don’t rob precious cargo space from the interior. Welcome to travel-ready suspension the way it should be. 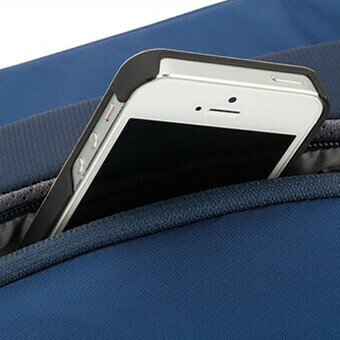 Flip Guard panels fold away to provide full cavity access for easy packing.